Jennifer Chevarria talks to her son, Jayden, 2, both immigrants from Nicaragua, as they wait inside the Catholic Charities RGV, June 21, 2018, in McAllen, Texas. A Texas nonprofit that offers free and low-cost legal services to immigrants and refugees has set up a hotline to help reunite migrant families separated at the U.S.-Mexico border. The Refugee and Immigrant Center for Education and Legal Services, or RAICES, announced Thursday the establishment of the National Families Together Hotline, amid frustration with the pace of the government’s own reunification efforts. 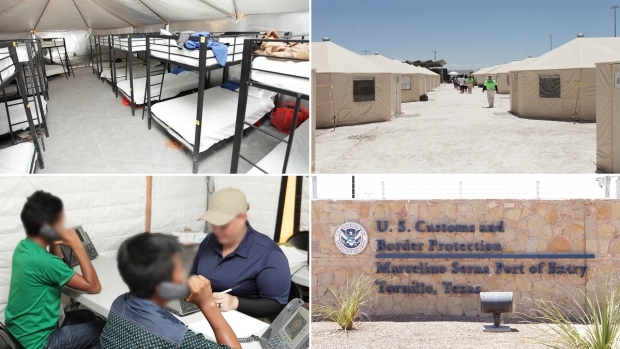 According to the San Antonio-based organization, the hotline will be staffed with trained volunteers gathering the necessary information to reunite detained parents separated from their children as a result of the Trump administration’s "zero tolerance" policy. Once parents are located, RAICES staff will help them connect with pro bono legal services and support with release from detention and reunification. The toll-free hotline will be available Monday through Friday from 9 a.m. to 5 p.m. CT, with an option to leave a voicemail after hours. Volunteers can be reached at (866)-ESTAMOS, or 866-378-2667. It comes two days after a federal judge ordered the government to reunite more than 2,000 immigrant children with their families within 30 days, or 14 days for those younger than 5. For days and weeks now, some of the hundreds of parents separated from their children at the Mexican border by the Trump administration have been battling one of the world's most complex immigration systems to find their youngsters and get them back. For many, it has been a lopsided battle, and a frustrating and heartbreaking one. Most do not speak English. Many know nothing about their children's whereabouts. And some say their calls to the government's 1-800 information hotline have gone unanswered. Huge logistical challenges remain, and whether the U.S. government can manage to clear away the red tape, confusion and seeming lack of coordination and make the deadline remains to be seen. Among the complicating factors: Children have been sent to shelters all over the United States, thousands of miles from the border. And perhaps hundreds of parents have already been deported from the U.S. without their children. 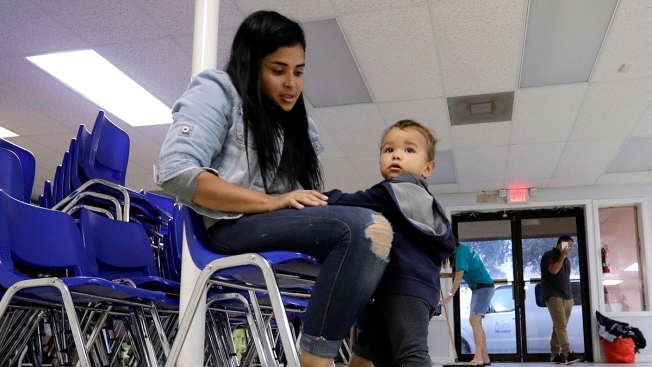 "Reuniting the families separated by the current administration's 'zero tolerance policy’ has become essentially a game of hide and seek," Jonathan Ryan, executive director of RAICES, told the Washington Post.